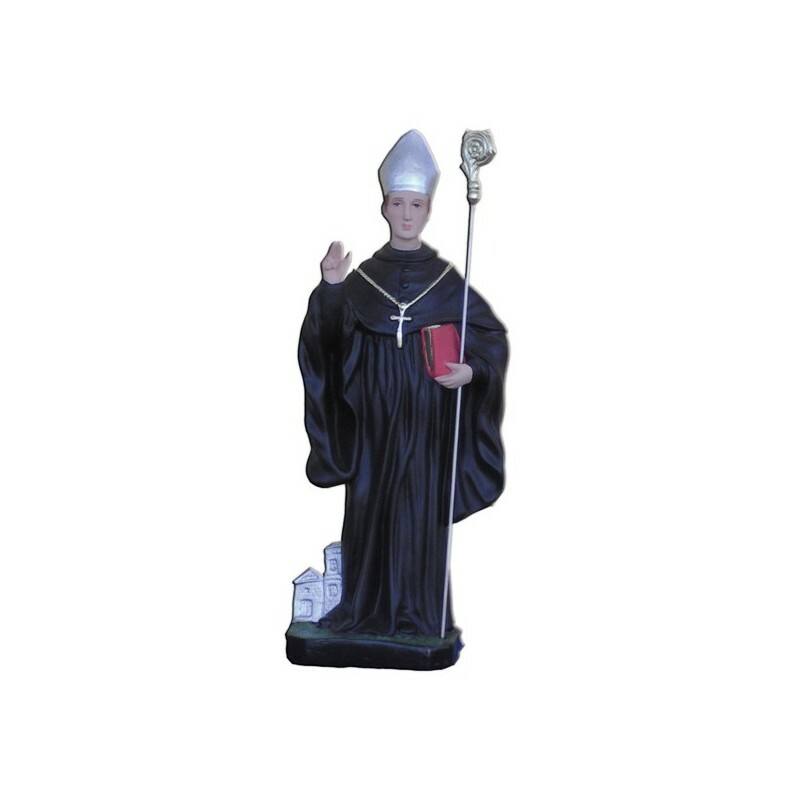 Statue of Saint Maurus of 40 cm. Saint Maurus was a benedictine abbot and martyr. He died in 1612 and he is commemorated on the 30th of May. His real name was William Scott and he was born in Wessex. He began his studies in Cambridge. He was fascinated from the reading of the catholic works, up to embrace this faith. He was welcomed by the catholic Church by John Roberts, a benedictine. He was sent to the Satagun abbey, where in 1604 he became a monk. After the ordination he returned to England as a missionary. He attended the martyrdom of John Roberts, but also Maurus was captured and martyrized for his faith. 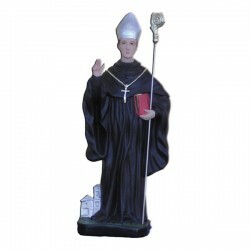 He is illustrated with the benedictine habit, the miter and the crosier. Sometimes there is also a house at his feet.